Rated 4.2 out of 5 based on 4 reviews. 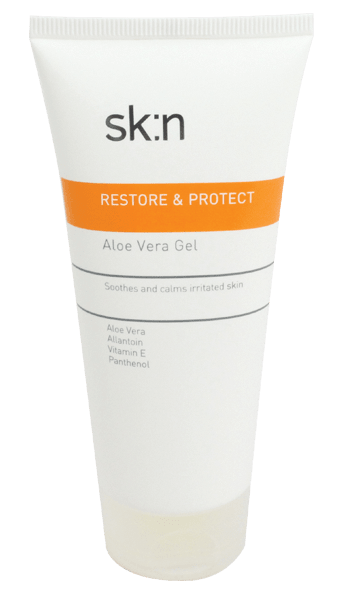 sk:n Aloe Vera Gel cools and soothes irritated skin and helps promote healthy skin. Perfect for sunburn. 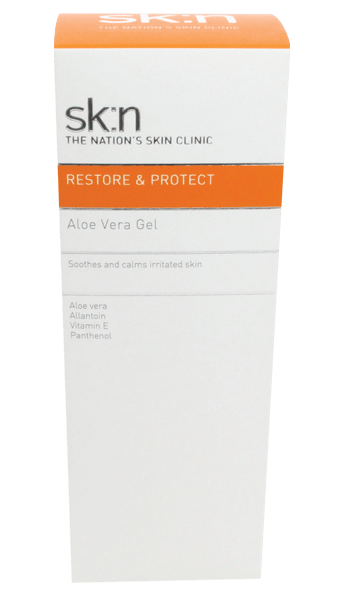 sk:n Aloe Vera Gel is used to help promote healthy skin. It can help cool and soothe irritated skin and in particular can help with sunburnt skin. Aloe Vera - a natural botanical with proven skin hydrating, soothing and healing properties. 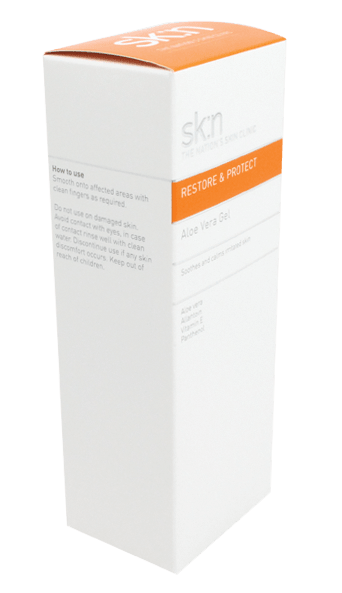 Allantoin - a natural active that helps to condition the affected area and stimulate new skin cell growth. Vitamin E - an anti-oxidant that protects the skin from free radicals and promotes healthy skin. 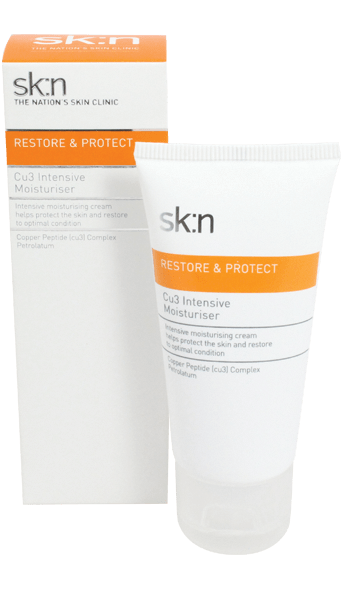 Panthenol - a pro-vitamin B5 known for its conditioning and nourishing properties. Smooth onto the affected area with clean fingers whenever required.